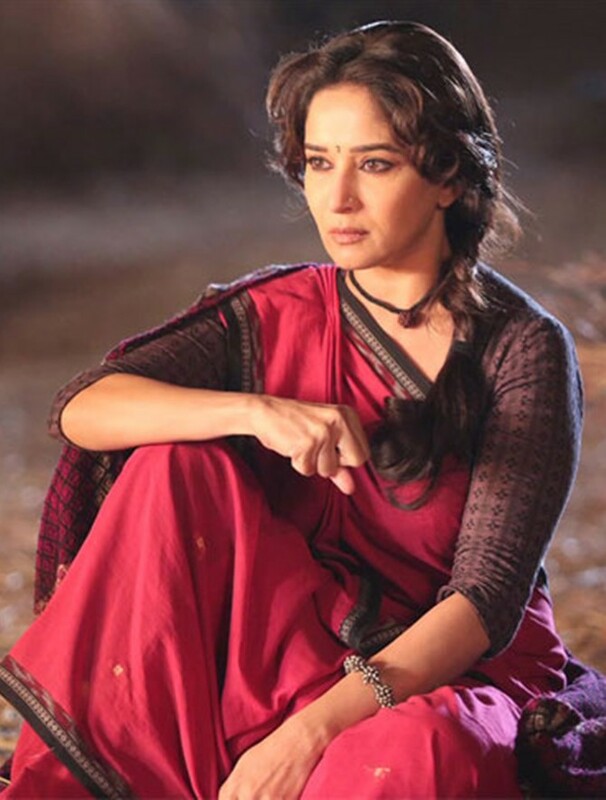 Rediff.com » Movies » Gulaab Gang or Gulabi Gang? VOTE! Caught both the films? Tell us which one is better of the two! Soumik Sen's directorial debut Gulaab Gang has been in the news for all kinds of reasons. While he managed to pull a casting coup by bringing former rivals Madhuri Dixit and Juhi Chawla to share screen space, the film created a lot of buzz in the months leading up to its release. However, the film didn't turn out as great as some of us hoped it would, if early reviews are to be believed. 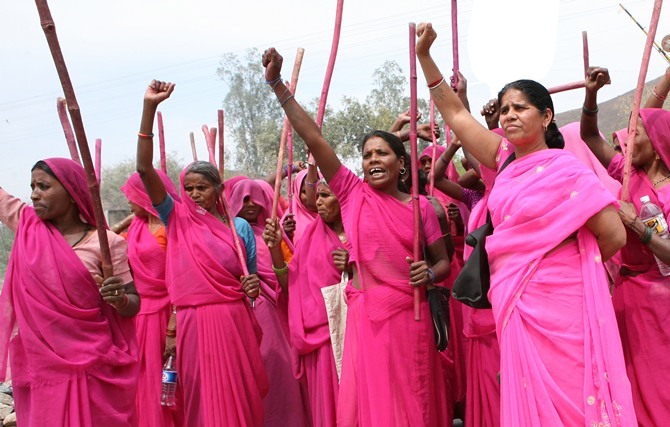 Meanwhile, Nishtha Jain's documentary on the real Gulabi Gang, led by activist Sampat Pal, is a must watch, our critic believes. The camera follows Sampat Pal as she goes around her strictly patriarchal village, helping women, spreading awareness and taking on the menfolk single-handedly. Seen both the films? Which one do YOU think is better? VOTE!